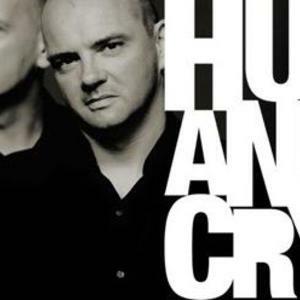 Hue & Cry are coatbridge brothers Patrick (vocals) and Greg (instruments) Kane, who have been recording and performing since the mid-to-late 1980s to the present day. The Kanes became known for both their creative jazz-pop style records and Patrick's distinctive, soulful voice (drawing strong similarities to Level 42 in both respects) - despite not achieving overwhelming commercial success, they are well respected by a large fanbase, and have recorded and released albums regularly (some of them failing to chart in the UK). Their biggest hit via the singles chart in the UK came with 'Labour of Love', a punchy, identifiable record which reached #6, spending a total of 16 weeks on the chart (they also managed to secure two top ten albums, 'Seduced and Abandoned' and 'Remote / The Bitter Suite' in the late 1980s). Their only other top 20 hit arrived with 'Looking For Linda' in 1989, though both their 'Violently (Your Words Hit Me)' EP in the same year and a remix of 'Labour of Love' in 1993 scored them top 30 successes. Hue & Cry have witnessed a minor rebirth in the last couple of years thanks to finishing in the final seven of 'Hit Me Baby One More Time', an ITV1 show in the UK in which artists and bands who faded from the public eye were given the chance to perform their best-known numbers and a cover version in order to win public votes (the overall winner then being given a recording contract). Shakin' Stevens won the contest, but H&C managed to rouse a huge number of votes thanks to both their trademark hit and a highly entertaining performance of Beyonce's 'Crazy in Love'. Since the programme's success, the Kane brothers have been touring their native Scotland, have signed to a new label and have a brand-new website and forum set up for them (www.hueandcry.co.uk). They also have a new album in the pipeline, due for release sometime in the near future.